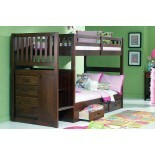 Twin/Full Loft Bed. Solid Pine with a Merlot Finish. 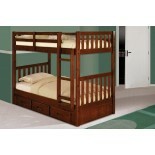 Mattress Ready: Complete Webbed Slat Kit..
Twin over Twin Bunkbed. Solid Pine with a Merlot Finish. 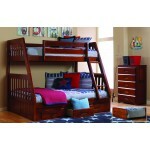 Mattress Ready: Complete Webbed Slat..
Twin over Twin Bunkbed with Staircase. Solid Pine with a Merlot Finish. Mattress Ready: Compl..
Full over Full Bunkbed. 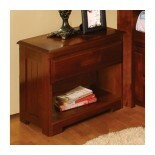 Solid Pine with a Merlot Finish. 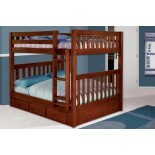 Mattress Ready: Complete Webbed Slat..
Twin over Full Bunkbed. Solid Pine with a Merlot Finish. Mattress Ready: Complete Webbed Slat..
Twin Rake Bed. Solid Pine with a Merlot Finish. 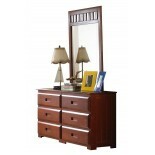 Mattress Ready: Complete Webbed Slat Kit Incl..
Twin Size Slat Headboard Merlot Lacquer Finish Solid Pine Wood Construction Works with a Bo..
Full/Queen Adjustable Slat Headboard Merlot Lacquer Finish Solid Pine Wood Construction Wor..
6 Drawer Dresser & Mirror Merlot Lacquer Finish Solid Pine Wood Construction Recessed F..
5 Drawer Chest Merlot Lacquer Finish Solid Pine Wood Construction Recessed Finger Pulls 3..
One Drawer Nightstand. 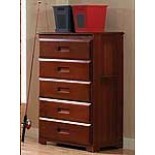 Merlot Lacquer Finish. Solid Pine Wood Construction. Recessed Finger..